Four climate change adaptation workshops will get underway today in Savai’i and will be run by the Samoa Umbrella for Non-Governmental Organisations (S.U.N.G.O.). The workshops will build on a one-week training program titled “climate change project design and management”, which was run by S.U.N.G.O. 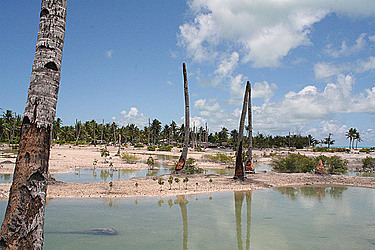 with the support of the Pacific-American Climate Fund (P.A.C.A.M. ), a project of the U.S. government’s aid program (U.S.A.I.D.) which provides grants to civil society organisations within the Pacific Rim to support climate change adaptation measures. According to a media release from S.U.N.G.O., the follow-up workshops will serve as a refresher course for those now planning their projects, focusing on project planning, implementation and monitoring. At the workshops, participants will be able to get assistance and feedback from S.U.N.G.O. trainers on their project plans and proposals. S.U.N.G.O. is playing a key role in providing climate change adaptation training in Samoa and has a group of experienced community trainers who have all completed the certificate in adult training through the National University of Samoa. S.U.N.G.O. has also achieved Samoa qualifications authority (S.Q.A.) recognition for its adaptation training. Since the launching of the P.A.C.A.M. resilience project on July 2016, S.U.N.G.O. 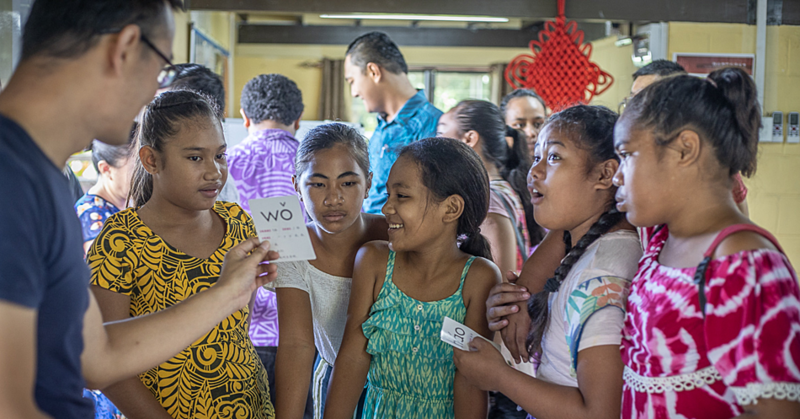 has trained 494 community members in “climate change adaptation project design and management”, using a module that was especially designed for Samoa. It has conducted these trainings in eight locations across Upolu and Savaii. The five-day training programme included modules on climate change, planning a climate adaptation project, project monitoring and supervision, project financial management, and project reporting. The training has focused on providing the skills and knowledge required to be able to plan projects, apply for funding as well as implement and monitor the projects. Participants were encouraged to utilize the knowledge and skills they acquired to develop proposals for donor agencies that might lead to funding for climate change adaptation projects in their villages. The follow-up workshops aim to provide more individualized assistance to communities in planning their adaptation projects. The workshops will be conducted at the following locations: Lelepa EFKS Hall for Itu o Tane trainees (today), Salailua Methodist Hall for Itu Salega trainees (tomorrow), Vailoa EFKS Halll for Palauli district trainees (Thursday, August 2), and Saloga Methodist Hall for Faasaleleaga district trainees (Friday, August 3). In the Pacific Islands, U.S.A.I.D. partners with national governments to advance sustainable, resilient development. Its assistance in the region covers the 12 nations: Federated States of Micronesia, Fiji, Kiribati, Republic of the Marshall Islands, Nauru, Palau, Papua New Guinea, Samoa, Solomon Islands, Tonga, Tuvalu, and Vanuatu.